In addition to authentic Italian pizza, I also appreciate different types of Italian bread. Especially the ones that have a crispy crust and are yet soft inside. A serious, street-credible Italian baker would make his/ her own proper lievito naturale i.e. sourdough for bread. However, apparently that would take about a week, and once ready, the sourdough would require daily attention, care, singing, dancing and sweet talk to be well. Or something like that. Fortunately there are somewhat easier and quite fab alternative recipes available for us mediocre bakers who are not quite ready for such a serious baking commitment yet. I previously found this one and have now successfully tested this for several times. It is just simply fantastic and relatively fast to make too (well, in the world of baking Italian bread I suppose its speed would be the equivalent of Usain Bolt’s but it still does require about 2.5 hours). When baking this, I modified the recipe a bit by substituing some of the wheat flour with fine rye flour to gain a bit more nutritional benefits which worked quite well too. Dissolve the yeast and honey into 50 ml water. Place the flour into a bowl. Create a little hole in the middle of the flour and pour the yeast water and the rest of the water into it. Start stirring the dough with a wooden spoon. Add the salt and continue stirring until you have obtained a granular, soft and sticky dough. Sprinkle the dough with a sufficient amount of flour, cover the bowl and let it rise for 1.5 hours. Cover an oven tray with a parchment paper and add a sufficient layer of flour onto the parchment paper. Use a (plastic) spatula to pour the dough onto the flour. Divide the dough (lengthways) into three separate loaves. Make sure there is enough distance (at least 3-5 cm) between the loaves as they will expand in the oven. Bake the loaves in the overn at 230 C for at least 30 minutes. Sorry about the misleading headline. To be honest, this recipe is neither fast nor really Italian (it is an Italian blogger’s version of a French baguette). What I find amusing the Italian definition of “fast bread”. It takes about 3.5 hours in total to make. Yet trust me, I know from my limited baking experience that 3.5 hours really is quite little in the Italian world of baking! One of the challenges of embracing your inner Italian baker in Finland is the climate. It is quite different for a focaccia to rise basking in the warm Ligurian sun under the loving eye of an Italian nonna than in a cold flat under the panicky eye of a Finnish blogger. Fortunately there is a handy substitute for the Ligurian sun: underfloor heating in the bathroom. However, as – despite the aid of the modern building technology – my attempts at focaccia alla genovese still bear more resemblance to cream crackers than bread, I chose to share this baguette instead. This recipe certainly is “mediocre baker proof” as apart from time and a sufficiently warm place for the dough to rise, it doesn’t really require too much skill and effort to perfect. The end result is quite lovely: a soft and airy loaf with a crispy and thin crust. I have used different combinations of flour (00, Finnish wheat, whole-wheat…) at equal success. As all bread loaves like this, it is very much at its best on the day of baking. Mix 1/3 of the water, the yeast and honey in a bowl. Put the flour in a larger bowl. Add the water mixture of yeast and honey, the remaining quantity of the water and the salt. Stir fast with a cooking fork. The ready dough should be sticky. Let the dough rise covered in a warm place for at least 2 hours (it is ready when it has doubled its volume). Transfer the dough to a baking board sprinkled with the flour. Divide the dough into three parts and gently roll them in the flour while shaping them into loaves (at this phase, the added flour should remain on the surface of the loaves, not kneaded into them). Transfer the loaves onto a baking tray. Separate the loaves by adding parchment paper between them. Cover the loaves and let them rise for another 30 minutes. Bake the loaves in the oven at 200 Centigrades for 25-30 (until golden). This pasta dish was recommended to me by a colleague of mine. He is a fellow Italy enthusiast and lent me the book “Oggi cucino io 4” which also included this recipe. It is a dish that can probably be categorised as the ultimate nightmare for many of today’s carb conscious people. Hence, if you happen to be one of them, please accept my apologies and skip this one. For the rest of you, I recommend you read on. The secret of this recipe is in fact bread. Yes, combining bread with pasta isn’t exactly the most obvious thing to do but it works wonderfully. The toasted bread absorbs all the lovely flavours of lemon, garlic, chilli and fennel in a way that would probably be harder to achieve by sticking to just one carb (the pasta). However, the lemon I had was fairly small. I think, if you are into citrus flavours like I am, you can consider slightly increasing the amount of lemon in the recipe. 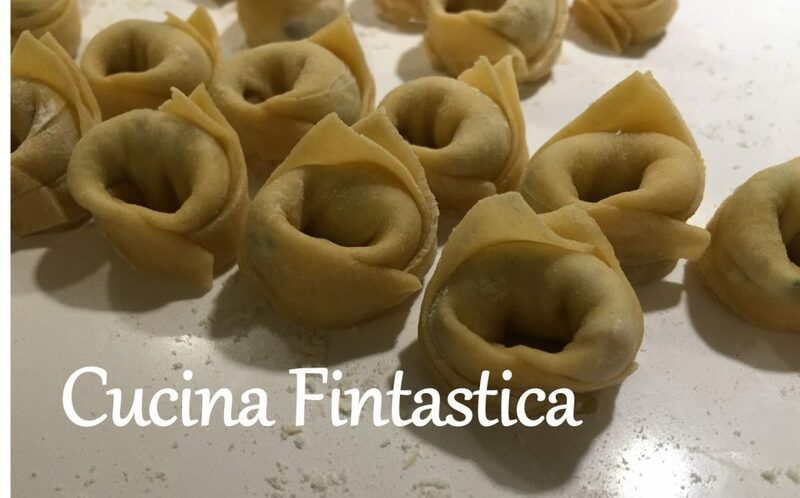 Finally, there is another apology to make (which also applies to my previous pasta post): I know that the pasta in the picture is not exactly orecchiette. Unfortunately the right type of pasta wasn’t available in my supermarket and this is the best substitute I could find. Mi scusate! Heat the olive oil in a frying pan at medium heat. Add the garlic and sauté for 1 minute. Add the fennel slices and let them soften for 5 minutes. Season with salt and lemon juice and transfer the mixture from the pan to a plate. Toast the bread cubes in the same frying pan for 3-4 minutes until they are golden and crunchy. Return the fennel mixture into the pan and add the lemon zest and chilli flakes. Stir well and move the pan away from the hot stove. Cook the pasta in a sufficient amount of water with salt. Once al dente, drain the pasta and pour it into the frying pan. Transfer the pan back to the stove and cook for 1 minute at high heat by continuously stirring. Serve with the grated pecorino cheese.